Many tourists don’t consider staying in an apartment rental though the benefits of having your place of your own during your vacation, and the affordable rental fees make apartments in Budapest a reasonable choice over any other accommodation types. The choice is wide in apartments for rent; whether you want to stay in the city centre or in a more peaceful area in Buda you will find something that matches your budget. Why Stay in an Apartment Rental? If you rent an apartment in during your visit you’ll have much more freedom, and space of your own. Most Budapest apartments are equipped with all the modern conveniences that help you feel more at home. If you’re a small group (4-6 people) vacationing in Budapest the obvious accommodation choice would be renting an apartment becauseyou share the rental fee. Most apartments have additional pull-out beds in the lounge giving you the opportunity to share the flat and the cost with more people. During high season (May-September) most hotels are booked up in Budapest and you can find available accommodation in vacation rentals much easily. You’ll be also able to find apartments in locations where it’s difficult to find a decent hotel. You can find Budapest apartment rentals in green areas if you prefer quite surroundings instead of a buzzing downtown area. there are some very good cheap apartments even in the city centre. If you prefer to stay in a more upscale residence then consider renting a luxury apartment in Budapest. The best way to find your apartment rental is to search online. 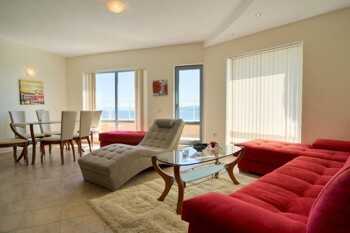 There are a couple of reliable real estate agencies specializing in apartment rentals for tourists. Agencies can offer you a wide selection of apartments for rent and you cans earch their database online. Whether you want to find an apartment in Budapest for a weekend break, for a summer holiday or for during your university course rental agencies can most likely offer you something suitable. Secure online booking make renting an apartment even more tempting. First decide on the location of your apartment because this highly determines the rent. Check out our list of apartments in Budapest city centre: moderately-priced, fully-furnished and -equipped, studio-size, 1- or double bedroom flats in the most central neighbourhoods. See our Budapest Districts guide. Do you want to be near all the major attractions and sights and places of entertainment or you’d rather rent an apartment in a peaceful part of Budapest? – Length of the lease. – Rental fee (best to paid monthly): how and exactly when should you pay it. Use of utilities (hot water, kitchen appliances etc.) and how are you going to pay the overhead? Note that if you rent the flat for indefinite term, you have to give a 30-day notice prior to your planned date of moving out. In Hungary you are usually required to pay a security deposit (called kaució) when renting an apartment. The amount of this deposit is usually 2-3 month rental fee. The deposit covers any repairs, damages occurring during the lease the rest (or the total amount if there were no damages) will be given back to you at end of the lease. Make sure this is included in the rental contract. When you move in, make an inventory checklist with your landlord about the condition of the apartment. When you move out you go through the list again noting what changed in the apartment’s condition during your stay. If any damages occurred (apart from normal wear) the deposit you paid will cover it. TIP: Apartment Hotels are a combination of hotels and private apartment renting offering spacious, full serviced accommodation. If you still prefer staying in a hotel to renting an apartment for your visit, browse our pages about recommended Budapest hotels. Additional resources: a good article on what to pay attention to if you want to rent a flat in Hungary.